Our team of presenters also included; Andrette Ward, MD (Pediatrician), Andrew McNeil, MD (Infectious Disease Specialist) Lucille Washington (Optometrist). This year’s presentation focused on Cancer of the Eyelid, Probiotics, Zika Virus, Diabetes and HIV/STI. Throughout the week STD /STI awareness education was also provided to various High schools in the community. A significant number of patients were seen, (in excess of 600) and filled more than 750 prescriptions, for 30-40 days for each patient. Our medical itinerary consisted of 5 days of clinical visits to Ramble, Nyere, Lances Bay, Dias and Tryall staff members. Additionally, this year we included a vision triage service for clients from 16 years and up. This procedure enabled us to screen more than 300 patients for glaucoma as a preventative measure, irrespective of whether or not their chief complaint was related to eyes. In the event that the testing appeared suspect, they were then referred for further assessment by the Vision team. We saw 103 patients in Ramble, 102 in Nyere, 107 in Lances Bay, 92 in Dias and 64 at Tryall. The medical services provided included general and specific problem examinations, diabetes, paps, hypertension screening, testing, pediatric care and fluoride varnish and vision care. Rampant decay was common among the children seen. Fluoride varnish and oral hygiene education were reinforced with the pediatric population seen. One hundred and sixty-nine (169) pediatric patients were seen by Dr Ward including 37 at the Granville Place of safety for girls. The biggest health concern continues to be severe dental cavities. This is due primarily from drinking bag juice/sweet products. Dr Ward is concerned about the overall bone development and the potential for developing rickets and osteoporosis as they age, due to a lack of consumption of enough milk type products. The general conditions assessed and treated by the medical and pediatric team, included Hypertension, Insulin and Non-Insulin dependent Diabetes Mellitus, Degenerative Joint and Disc Disease, Glaucoma Cataracts, Conjunctivitis, Dermatological Disorder i.e. 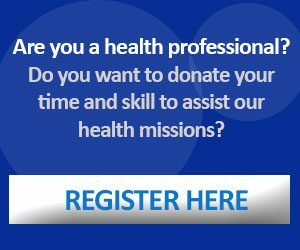 Eczema, Psoriasis, Seborrhea dermatitis, Asthma, Cardiac arrhythmias and STD’s. This year a medical team inclusive of Stephanie Lafayette, MD, Lisa Baughman, RN, NP and Loraine Bailey, RN , also conducted physical examination and cardiac evaluation on high school athletes and echocardiogram was provided as needed. This initiative was developed in response to the recent report of cardiac mishaps and sudden death issues related to the young athletes in Jamaica. The young athletes who were assessed included both male and female at Green Island High, Mount Alvernia High and Ruseas High Schools. 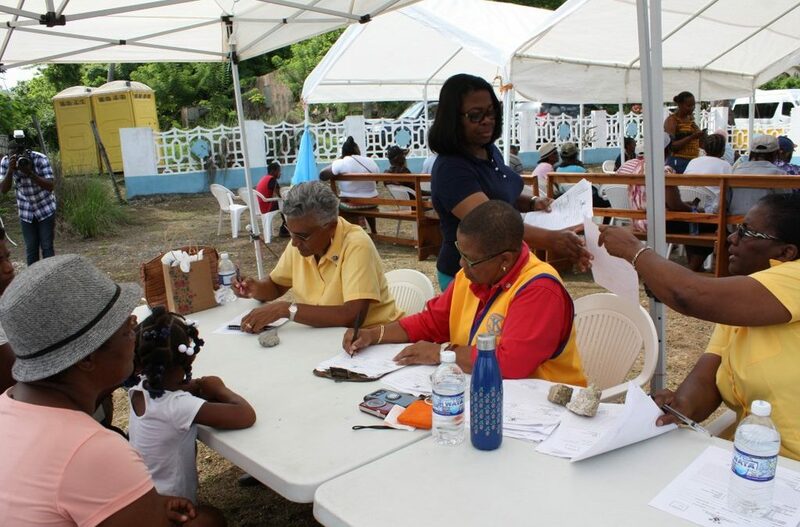 The success of this year’s efforts could not have occurred without the dedication, commitment, contribution and efforts of our partners: The Hanover MOH, Ministry of Health International Team, Hopewell Jaycees, Kiwanis Club of Hopewell, Hanover Charities, Tryall Estates and Round Hill Hotel. We are so thankful for our medical and non-medical team members who traveled from Atlanta, Boston, California, Florida and New York, volunteering their time, skills, effort and funds to make this humanitarian effort truly built on health humanity and love possible. This also could not have happened without the Jamaican team of Balfour Hutchinson, Hope Markes and Webster Bodden, who negotiated the clearance of the medical supplies, arduous arrangements of transporting the team and medical supplies on a daily basis. A hearty thanks to all the volunteers and drivers who went above and beyond and labored daily in every aspect from early morning registration, transportation, packing and unpacking the supplies, readying the clinics, pharmacy, and churches for the patients. Kudos also to the wonderful staff members from the Sugar Hill and Round House Villas. In conclusion, it’s the collaborative effort of everyone which resulted in a successfully amazing health fair in 2018! We look forward to continuing this effort in the future.